B.Sc. Apparel and Fashion Design is a highly demanded course today. Due to huge demand for U.G. Programme in Fashion Designing, Bachelor of Fashion Technology (B.F.T.) or ‘B.Sc. Apparel and Fashion Design’ was started in the year 2008 under the M.G.University (Mahatma Gandhi University) Off-Campus Center. Dr. Purandeswari, Hon. Minister of State for HRD (Higher Education), Govt.of India inaugurated a new UG course ‘B.Sc. Apparel and Fashion Design’ on 19th January 2012. B.Sc. 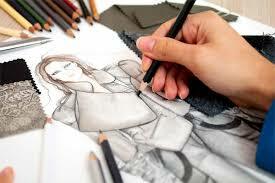 Apparel and Fashion Design is an undergraduate programme with six semesters. The course was initiated under the UGC Innovative Scheme in the year 2012 with affiliation to the Mahatma Gandhi University, Kottayam. The course is based on the Core Subject – Design Thinking. The ultimate aim of the course is to create a responsible designer who will serve the country and society by innovation, education, technology, and research. Explore your creativity in fashion designing and give wings to a beautiful and colorful career dream. At St.Teresa’s, we are committed towards the all round developments of students in academics, personal and professional. This course will enable you to accomplish any demands in the industry, in the most comprehensive manner. The course emphasizes on practicals as well as theory. The hands-on experience in the practicals helps students to understand everything well and help to adapt to the ever competitive industry.